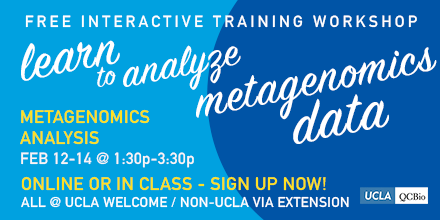 This workshop provides an introduction to the microbiome analyses from the raw sequence data generated from the next-generation sequencing platforms. We will cover how to perform the 16S rRNA-based analysis using an open-source bioinformatics pipeline QIIME. We will also cover some downstream analyses of the microbiome data beyond QIIME, including statistical analyses and functional analyses.